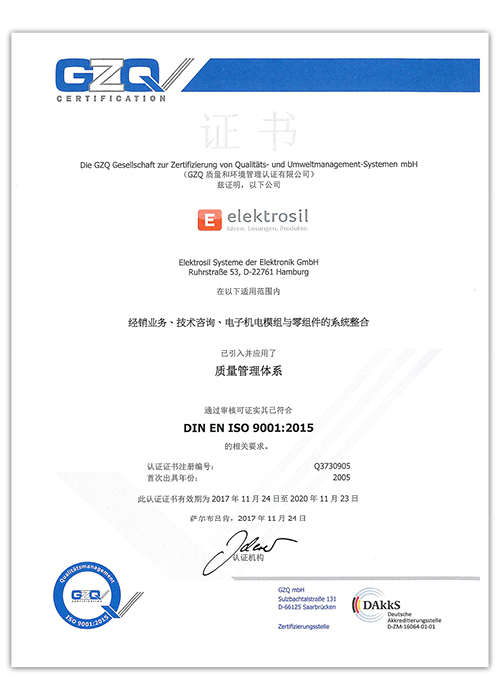 As your development partner, Elektrosil offers you electronic and electromechanical solutions for a variety of industries, with extensive services that range from construction and simulation to finishing with certifications and authorisations. Elektrosil gives you access to an extraordinarily wide range of electronic and electromagnetic components and systems. With our considerable engineering know-how, we’re the latest word in smart solutions for individual requirements. Desktop Printers – 2", 3"
Printing Units – 2", 3", 4"
We are an experienced partner who sees beyond the surface issues and supports development. We provide solutions based on interdisciplinary expertise, creating competitive advantages for clients in a variety of sectors. 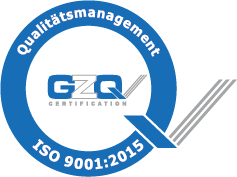 Our top priority is the quality of products and performance. Using processes that guarantee transparency along the entire journey, and backed by the latest standards. 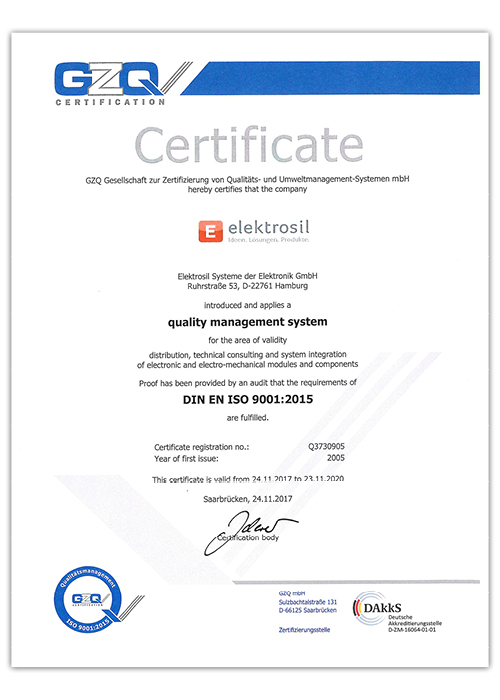 We ensure quality management in accordance with ISO 9001:2008 at our European Elektrosil sites. 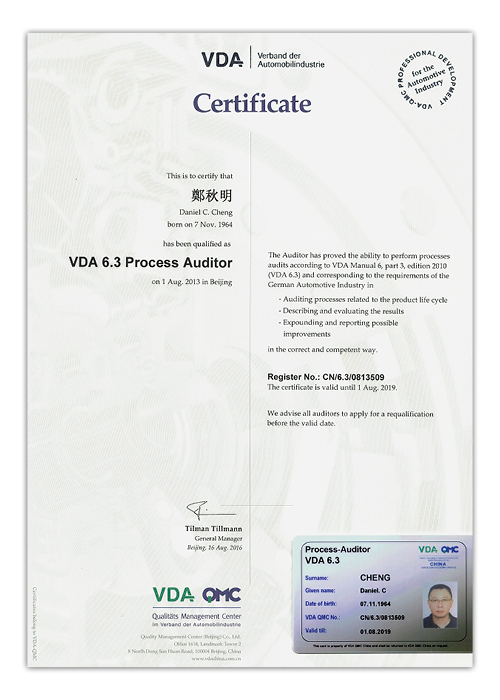 In Asia, our team checks and monitors suppliers on-site – as Supplier Auditors in accordance with VDA 6.3 and IATF 16949. 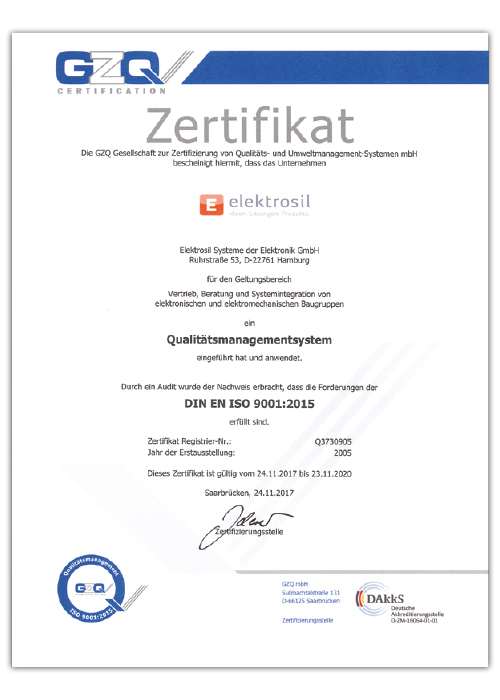 In the automotive field, we have a national and international traffic law certification from the German Federal Bureau of Motor Vehicles (KBA). Every application has its own particularities. We carry out a requirements analysis based on systems engineering for the development of complex products. Defining system requirements and the target features of the product makes proactive and cost-effective planning possible. Simple or complex, once the fundamentals have been established, we will put together a suitable team of experts for your product and its development. Our solution is based on interdisciplinary expertise, anticipated in simulations and verified during prototype testing. Series production, according to your requirements, proceeds following delivery and acceptance of the prototype. Together with you, we analyse all factors affecting product manufacture and, using this information, define system requirements. These contributing factors are highly diverse. They include internal factors derived from the target product features and external factors – for example, technical requirements, ethical guidelines or norms. A circular process results, which only ends once all parameters have been satisfactorily fulfilled. The system requirements, i.e. 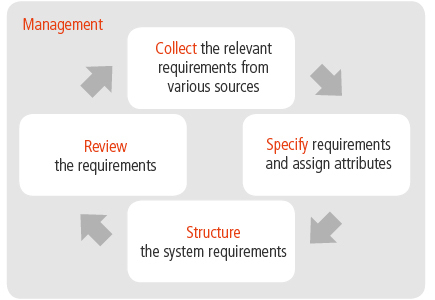 the results of the requirements analysis, are presented in both the product brief and the specifications sheet, and implemented as part of the requirements management. The services and processes necessary for manufacturing are formulated and subject to change tracking, implemented with software support. These lists form the basis for our cooperation with you and protect both parties. Development is carried out in a defined process. With us as your development partner, you can expect an extensive range of services: we design the mechanics, as well as the hardware and software; we also take on validation and manufacturing. Your project is in good hands with us. Proven project planning with individual consultation. Electronic and electromechanical solutions that are a perfect fit. From production to delivery: efficient and cost-effective on every route. Testing for success: Greater reliability thanks to qualified testing. Our success stories perfectly highlight what you can expect from us. We needed a breath of fresh air for gaming PCs. That’s when I called Elektrosil. Precise control despite dirt and work gloves? Our ovens needed the most precise and safest meat thermometers. Our control panels needed a secure connection that won’t snap off. That's when I called Elektrosil. We needed a wireless controller for our surfboard – ergonomic, watertight and with a long service life. The housing design for the doorbell system was complete; there was hardly any space left for the power supply. Efficient learning with ultrasound – we wanted good usability with a contemporary design for our mental trainer. Elektrosil provides support in every electronics product division. We implement system solutions and components for almost every application – with interdisciplinary engineering know-how and decades-long experience in your industry. We also provide high-quality standard components when necessary.